There is nothing quite better then stepping in to your dream shower and just feeling absolutely cleansed and refreshed right?! I will be the first to say that even though our home is a new build there are somethings that still needed a little bit of UMPH! Our shower head being one of them. Chris and I have this fabulous marble tiled shower but weren’t getting the full spa experience! 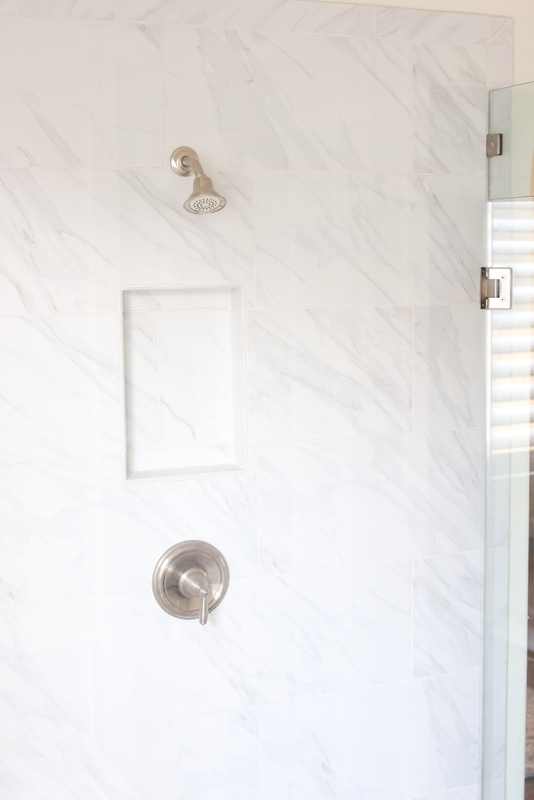 Which leads me to today’s collaboration with Moen in upping this master bathroom’s shower head game and turning it in to the ultimate luxurious spa shower. 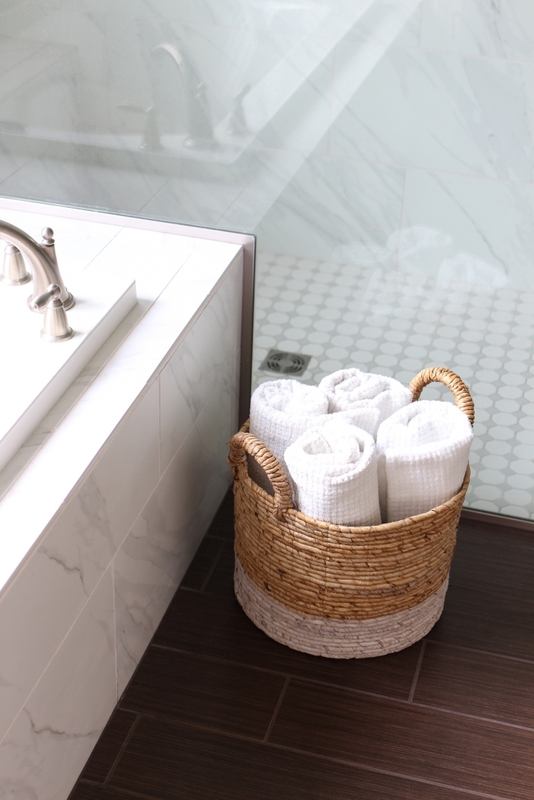 Our master bathroom is already decked out in Moen products so we knew that sticking with them was the way to go. I opted for this square rain shower because of its dual spray functions. I love the soothing rain function but it can be easily switched to the self pressurized spray also. It really just depends on your mood for the day. For me I’m always looking for some me time and I really enjoy the calmness of the rain shower. 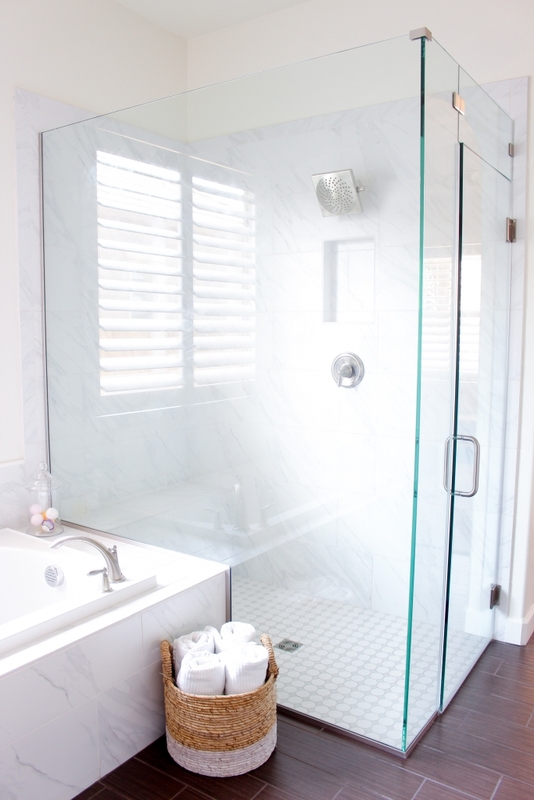 Not to mention the 8-1/2″ diameter spray head is amazing for a bigger shower like this one. Seriously though trust me when I say this will be one of the best showers you have ever had when you try this one out. When I first used this I literally said out loud “where have you been all my life? !” It’s that good! and now I’m just thinking these need to be in ALL the showers! Thank you Moen for sponsoring today’s post. i am desperate for a giant showerhead like this one. 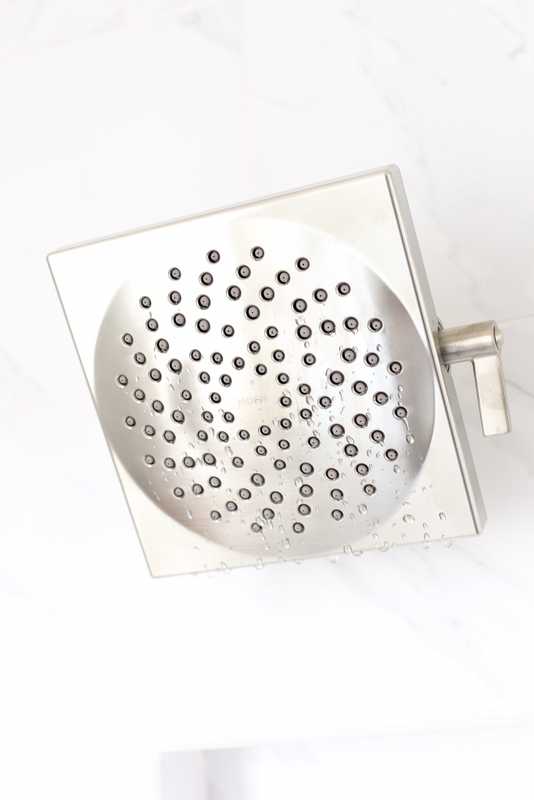 when my boyfriend and i visited his family over easter, there was a showerhead like this that just made me feel so relaxed every time i took a shower! they’re so nice! You had me at “rain shower”!!! This bathroom is so chic, I love it! this post is just stunning!! Omg this sounds amazing! I want to change my shower head to this rain shower!!! Can I have your shower please? Seriously, so beautiful and that shower head looks like an amazing addition!